While creating a new tango music library on itunes, my computer busy importing my D’Arienzo CDs, I had a look at those CD covers again. I listen to my CDs from time to time, but it’s true I never paid attention to the covers. 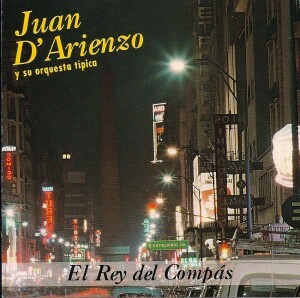 That’s why only until today, I notice this funny “error” of a CD I bought only for the song “Este Es El Rey”. The cover has a typical picture of Avenida Corrientes, but wait, something is wrong…… Read EVERYTHING on the picture and you will find it out! This entry was posted	on Sunday, March 7th, 2010 at 12:42 am	and is filed under Other. You can follow any responses to this entry through the RSS 2.0 feed. You can leave a response, or trackback from your own site. Hehe… obviously no matter it is reversed or not, it doesn’t matter. As long as it’s Av. Corrientes, who cares!